If you want some freedom from glasses, then why not consider contact lenses? They’re easy to use and comfortable to wear. We offer a free initial assessment, in order to touch, feel and try the comfort of a contact lens. A current spectacle prescription is required for an assessment. 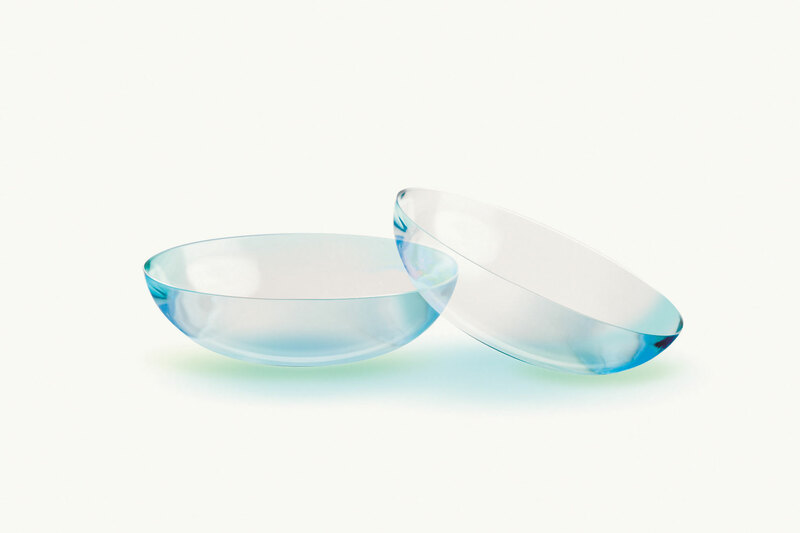 You may be offered a choice of soft or rigid gas permeable contact lenses. Each style of lens is fitted after a thorough assessment of your eyes suitability for contact lenses. Keith will measure the size and shape of your eyes, and will check the health of the front part of the eye that comes into contact with the lens. If this appears suitable, and your lifestyle can accommodate lenses, he will then apply a contact lens for you to feel the comfort and see real vision with a contact lens in place. Soft lenses are as the name suggest soft to touch, and are made out of special water retaining plastics that allow your eye to breathe through them. Many new styles of soft lens also contain moisturisers that are released during the days wear, to maintain best comfort. Popular lenses are 1 day disposables such as 1 Day Acuvue Moist by Johnson & Johnson, Dailies Total 1 by Ciba vision and Biotrue 1 Day by Bausch & Lomb. Gas permeable lenses are rigid buttons of breatheable plastic a little larger than your pupil. These lenses are tailor made to the individual shape and size of your eye, and can correct simple or complex prescriptions. Soft and Gas Permeable lenses can correct, short and long sight, as well as astigmatism and multifocals for far and near. Contact us to book your free initial assessment.